Doom on the Xbox Live Arcade was a solid port of the game, and if my count is correct, it's the 37th system to get such a port. Yes I'm counting graphing calculators. But if you've had your fill of the first game, then it's time to upgrade to the double barreled shotty and play Doom 2 in glorious four player co-op. Shacknews has found the game playable on the QuakeCon 2009 show floor, and unearthed some details. Both four player online and local play is supported, as well as a brand new episode for Doom 2 to go along with the original content. 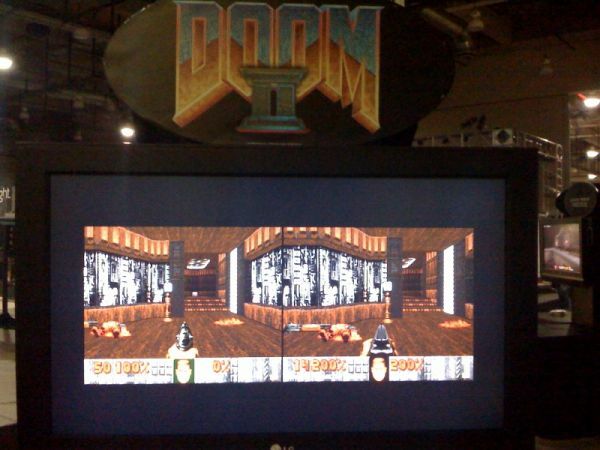 Nerve Software, who developed the first Doom port to XBLA, is handling the game. So no need to worry about the quality here. No date or price was given. Page created in 0.5727 seconds.